LOCATION: Nanban, 426 Coldharbour Lane, Brixton, SW9 8LF [map]. BREAD: White sliced, the kind you ate as a kid before bread got ideas. FILLING: Crumbed, deep-fried pork shoulder, katsu sauce, shredded cabbage. PROS: HI! I’m back. Again. Like a bad boyfriend who keeps making promises then letting you down I’m gonna tell you that this time, it’s different. This time, it’s forever. Here’s the news: Nanban is one of the best restaurants in Brixton and it specialises in ‘Japanese soul food’. As a side note, you must also order their hot wings and the curry goat dipping ramen from the main menu. 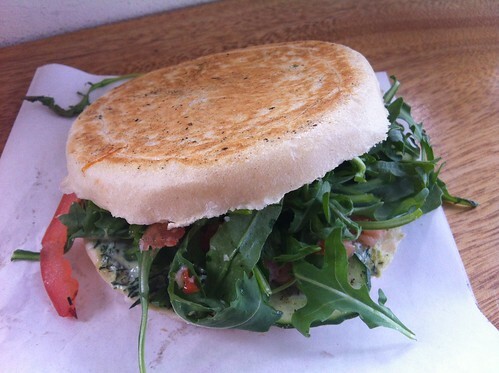 The sandwiches, however, are served from a hatch at the front of the restaurant and are takeaway only. I’ll leave you to deal with that problem. I’m just gifting you the info, I can’t do everything. London is having a moment with katsu sandwiches, as you will soon see. Not famil with the katsu sando? It’s basically breaded, deep fried pork in a sandwich with katsu sauce, which is like a Japanese version of brown sauce – full of sweet and sour flavours and in this case, punchy with tamarind. It is a freakin’ delight my friend – do yourself a favour by eating one. 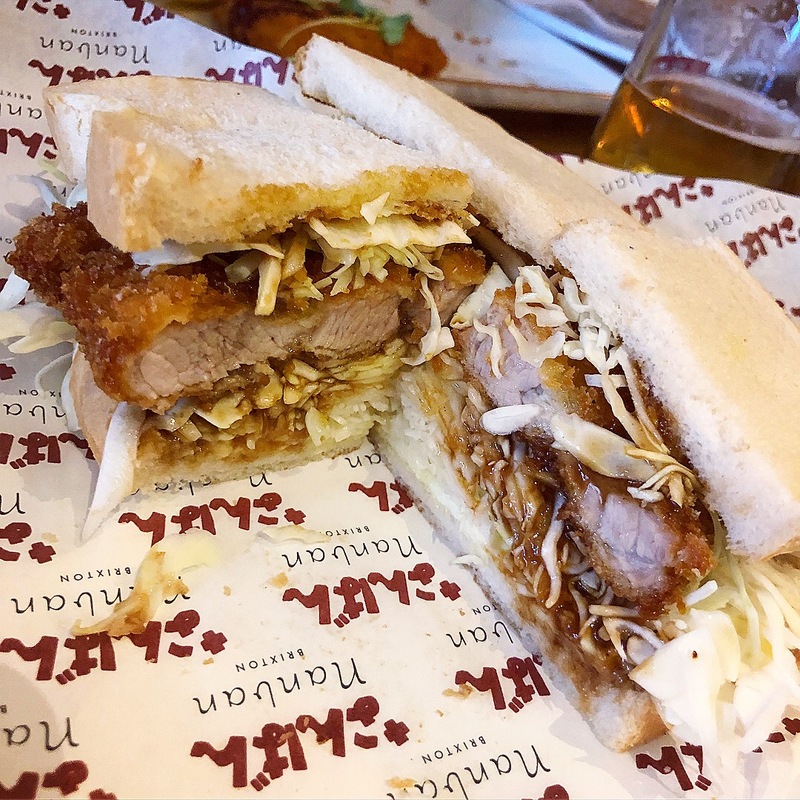 You have the juicy pork, you have the crunchy crumb, you have the freshness of shredded white cabbage and you have the full-on flavour from the katsu sauce – all inside the kind of trashy white bread that makes you whimper with nostalgic delight. Oh, and it’s a fiver. You can barely buy a sodding pint for a fiver in London!! CONS: Now, what I don’t recommend doing is ordering a portion of ponzu dressed Padron peppers, a scotch egg, the aji fry, a portion of gyoza, a portion of addictive cabbage, a portion of hot wings and a bowl of crab noodles between three people BEFORE you each take down a katsu sandwich. I really cannot recommend that at all. It’s too much food. This is not the sando’s fault, of course, but I just had to get closure. SCORE: 9/10 (we all know the 10/10 isn’t really a thing).